Why Prefer a Serviced Apartment Instead of a Hotel? The latest trend in international travel is ‘serviced apartments’ and for a very good reason. Whether you are travelling to London for a business conference or on a leisure trip, Carlton Court’s self-catering apartments offer the answer to many questions associated with traditional staying options like, hotels. Located in Central London, we offer premium accommodation that meet specific budget and luxury preferences. Unlike the tiny rooms at a hotel, our apartments are commodious. If you are travelling in a group of 5 or 6, our three bedroom flat will be the perfect choice for you. You will not only get to enjoy 3 lavish bedrooms with ensuite bathrooms, but also a living room, kitchen and a dining room. Leisure travellers need to find a place that fits their pocket whilst business travellers require a stimulating bottom line. 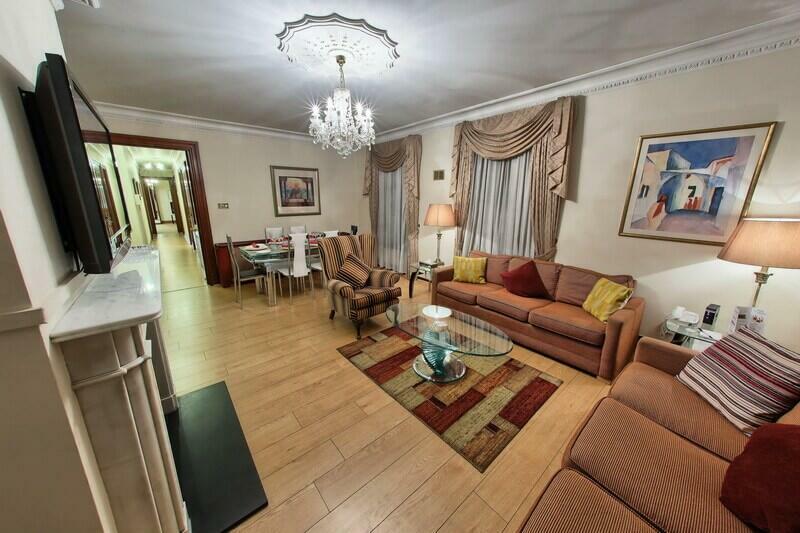 Compared to hotels, we offer our tastefully decorated three bedroom apartments at fair prices. We recognise how costly a trip can be, especially when travelling with family or a large corporate group and offer apartments at a reasonable tariff. Staying at a hotel means sacrificing your daily routine for the duration of your stay. With our 3 bedroom apartments in Central London, on the other hand, you will be made to feel at home. You can prepare your own meals in our fully functional kitchen, watch TV in the living room or finish work using our complimentary Wi-Fi. Staying with us means finding a home even in a foreign land. Carlton Court’s apartments offer a homely feeling, but are no less than a 5-star hotel. You can enjoy the comforts of your home, along with 24/7 concierge services. Just leave it to take care of your travel arrangements or dining reservations. Book Carlton Court’s luxurious 3 bedroom apartment in Mayfair, Central London and look forward to a fabulous stay with all the amenities that you need.